We offer our customers the Power of Choice. We support merchants across all categories of retail: restaurants and quick service restaurants (QSRV), hotels, entertainment, spas, bars and clubs, malls etc. 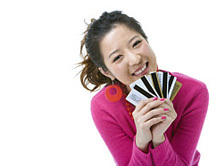 Just give us a call or make an enquiry to us and we’ll customise an unmatched card programme for you. Call us & start your own Gift Card or Loyalty Card programme!